When my fiance hit that particular milestone last summer I took him to his favourite secondhand bookshop and gave him an envelope with £50 that he was allowed to spend on nothing but books. He loved choosing and I loved standing back and watching him. A highly successful bookish gift. And now Penguin Modern Classics are fifty years too, and are celebrating by sending fifty little books out into the world. Here they are. Don’t they look lovely? They take in a remarkable range of writers. From F Scott Fitzgerald to Angela Carter. From Eudora Welty to Albert Camus. From Shirley Jackson to Rudyard Kipling. You can find the full details here, but be warned – once you look you may not be able to resist. And Penguin asked twenty-five lucky bloggers to write about two of the fifty books. I am one of those lucky bloggers, and I have read two authors who I had never read before. Two men who both use words to great effect, but in very different ways. Now I must admit that I have never thought that Kingsley Amis would be my sort of author. But two weeks ago, watching the first installment of Faulks on Fiction, I was introduced to Amis’s hero, Lucky Jim. I was intrigued, and the novella Dear Illusion seemed to be a most opportune way of finding out if I liked the author’s style. Dear Illusion is the story of Arthur Edward Potter, a suburban everyman who just happens to be Britain’s most acclaimed living poet, seen through the eyes of Sue Macnamara, a journalist. She is granted an interview with the normally reclusive poet, and he talks at length and gives her a great scoop. That he has written his last, that he is retiring. He also reaches out to her, clumsily, crudely. She realises that he is a man adrift in the absence of his sick wife and offers help and support, which is gratefully accepted. And, in due course, she receives an invitation to the poet’s grand send-off. An event at which he subverts expectations in spectacular style. 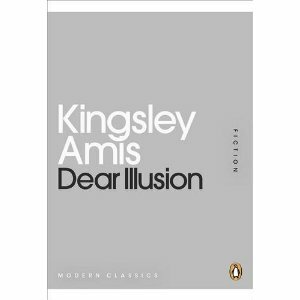 Kingsley Amis chooses his words well and wastes not a single one as he drives his story efficiently forward. I believed in his characters, I believed in their words, and I never knew quite where the story was going. It proved to be a fine moral fable that spoke eloquently and intelligently about life, art, and the burden that a vocation can be. Kingsley Amis may not be my kind of author, but I am quite prepared to believe that he is an author of quality. Now I have always meant to read James Joyce and I have always meant to start with The Dubliners. Well not quite always but ever since I saw John Huston’s film of The Dead, the last of the stories that make up The Dubliners, many years ago. 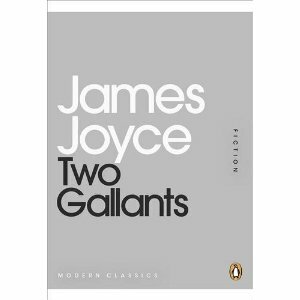 Two Gallants pulls out four short stories from The Dubliners and so for me it became a taster volume. The little book that could possibly make me pull out the bigger book to read more of the stories. The four stories look into the lives of ordinary residents of Dublin. There is a quiet death, a manipulated theft, a manoeuvred marriage, and a broken dream. Turning points, moments of realisation, viewed clearly and naturally. James Joyce lets his stories unfold at their own pace, picking out the most telling details, as if he is an unseen observer moving through the streets of Dublin, and his words ebb and flow with lovely, natural rhythms. I was captivated, and I shall definitely be pulling out the big book to read more. How lovely! Like a selection box for grown-ups…not that I turn my nose up at the chocolate kiddy sort. I love the looks of this set, but fear it’ll be a bit too pricey?? I have also started going back to the older books. Sometimes I have not even heard of the author but there have been hidden gems. You of course have got very well known authors for your review. Lucky you, but well deserved, I have no doubt. And what a wonderful way for Penguin to celebrate being fifty. I hope they are going to make them available individually so that those of us who could never afford to buy the complete set all at one go can pick them up one by one. I haven’t read any Amis apart from ‘Lucky Jim’ which I’ve always been given to understand is exceptional amongst his works. A novella might well be the best way back to him. As for Joyce, I love ‘The Dubliners’ but have never been able to get past the first couple of pages of anything else. If you do try I hope you have more success than I’ve had.